It’s Pi Mai Lao (Lao New Year) this April 14-16th on the Buddhist calendar and the BeerLao is flowing, water attacks are happening, and your parents are nagging you to finally Spring clean the house. Whether you’re in the states or in Laos, here are ten basic ways to make sure your pi mai is fun-filled in ultimate Lao-style. 1. Waterproof your valuables (and yourself). Keyword: plastic bags. Double-zipped Zip lock bags are even better. Keep everything you value that will die from water in closed plastic bags. I hear (unused) condoms work amazing for touchpads, but that’s totally a personal preference. Water damage is more of a threat in Laos, since you can’t control the truckloads of people (typically kids) constantly ambushing you with pails of cold water. Just be ready for it. 2. Get your Lao New Year gear ready. Think light and easy to hang dry, ’cause you will be wet. Local Lao wear anything with dok champa (Laos’ national flower the plumeria) and anything tropical. If you’re in the US, it’s pretty much Hawaiin attire (hey, it works too). And if you’re going to an evening party, get your sinh mai and fresh set of shoes ready to boogey down. People notice these things or you get a side-eye. 3. Prepare the feast for the masses. If you’re hosting or others are hosting, make sure there’s plenty of good new year food to overfeed the masses. This means grilled eats like ribs, gizzards, chicken legs, meatballs etc. Everything that goes down well with beer has to be available. If not, you will get bad-host-shamed and nobody wants that. 4. Don’t embarrass yourself, stock up on the liquor. Ah yes, BeerLao. Because it ain’t no party without the “Beer of the Wholehearted People” (real motto). You can find it as abundant as drinking water in Laos and the beer is now readily available everywhere there’s an Asian community in the US. If you got Lao-Lao (rice whiskey) around, get the shot glasses ready to pass around. 5. Be armed with the best water gun in town. If you want to win during the annual Water Wars, especially along the Mekong, you better have the best weapon that shoots your targets where it irks them the most: their faces. I saw something called the Saturator AK-47 Automatic Water Gun held by a hiso guy, but really you don’t have to get that fancy schmancy. A Super Soaker that loads enough pints of water is all you need to keep winning. 6. Be good to yourself, your family, your community, and Mother Nature. Some in Laos set free small animals, gather flowers, and give money or gifts to their parents. It’s tradition to give thanks and bless well wishes to those around you who you love and respect. If you have frenemies, you should forgive them too and let bygones be bygones. 7. Make merit, get ‘boun’ aka what karma is all about. Things tend to come full circle in Lao culture. It’s what makes up karma. Do good to others what you want good for yourself. Help the local school kids, donate to the elders, and be good to your neighbors are some examples. 8. Actually visit your local place of worship. Take time for some personal reflection. Let go of the bad past and welcome the good new year. In Laos, traditional devout Buddhists go to their temples to ‘song pha’, which is to wash the statues with perfumed water, bless them with flowers, and give offerings to Buddha and monks. If you can, go to your home village to ‘suite nam’, which is to cleanse and bless yourself, your parents, your family, and your community. 9. Clean your dirty house up. Pi Mai is all about the mass Spring Cleaning. Even districts do a village clean ups during new year’s month. Clean out your closets of old clothes you can’t fit in anymore and throw away the things you decided to hoard for 10 years but haven’t used. Anybody else who needs it will take it. Out with the old, in with the new. 10. Lumvong it up but just be safe. Seriously, get out there. Check the list of local activities. Music, dancing, and karaoking is liberating. People can be silly but just take it easy out there. Everyone and their mom is throwing a party, and you can’t pick and choose– you just stop at each and every one and slowly drink away. Wherever there is a Lao community, there is a party. It’s the only time of the year people party all week so accidents and craziness tend to skyrocket. Just pick your choice of transportation WISELY or at least in the most sober state possible. What are some of your best tips and ways to celebrate this Lao New Year? Got a favorite photo from your festivities? 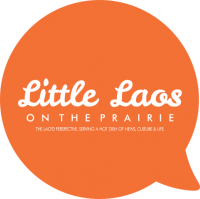 Send it our way editor@littlelaosontheprairie.org and it could be featured in a post and on our Facebook page. Stay posted for upcoming pi mai photos from around the globe. The past year has ended with the beginning of our Lao Diaspora Photoessay Project and we’re hoping in the new year to continue trailblazing the online community with exciting Lao voices. LLOTP wishes our awesome readers and supporters a safe, happy, and joyous Lao New Year and wishing you even more greatness in the coming year. It’s the year of the horse, so ride on fearlessly in good company and good energy. Be prepared for loud. Loud music, loud excitement, loud everything. Us lao are quite used to it but for those that are not, I always prep them to prepare to speak above Level 4 voices.